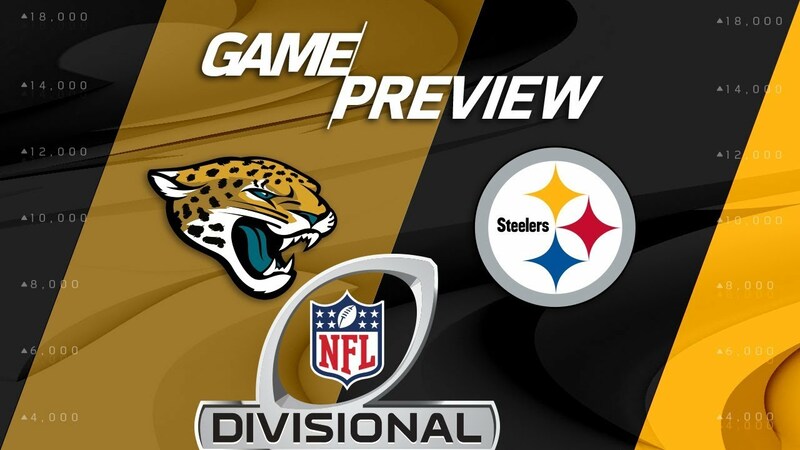 Jacksonville Jaguars 45, Pittsburgh Steelers 42 (Close Finish, Individual Performance) - 1/14/2018 - NFL - Are You Watching This?! 9-C.Boswell extra point is good. 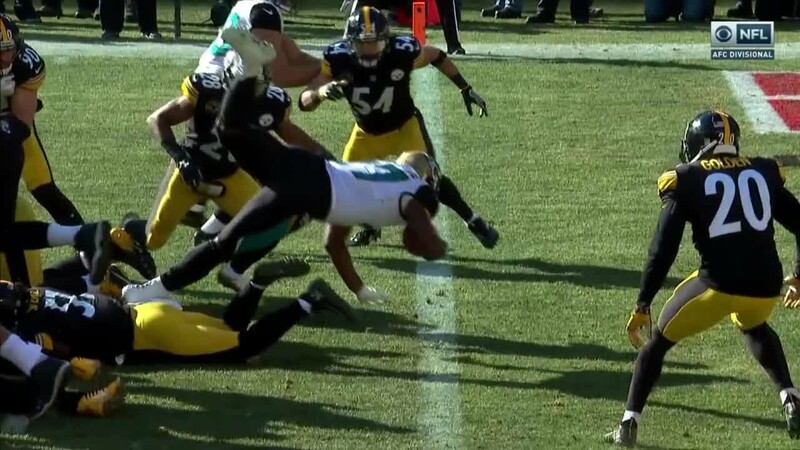 7-B.Roethlisberger complete to 19-J.Smith-Schuster. 19-J.Smith-Schuster runs 4 yards for a touchdown. 4-J.Lambo 45 yards Field Goal is Good. 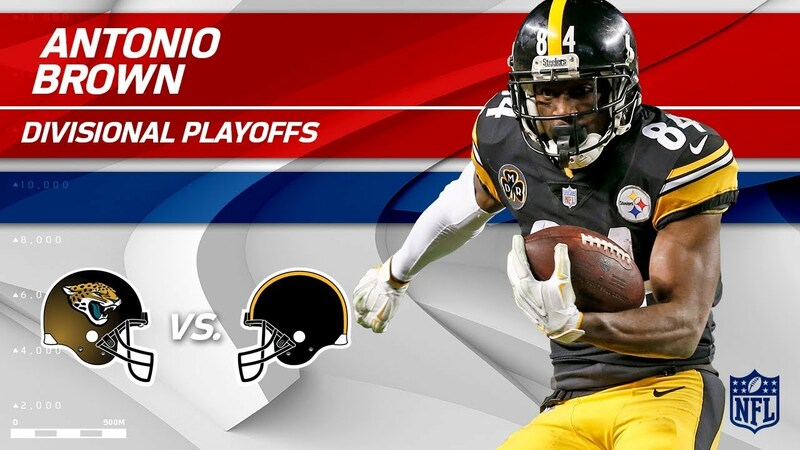 7-B.Roethlisberger 26-L.Bell runs 8 yards for a touchdown. 4-J.Lambo extra point is good. 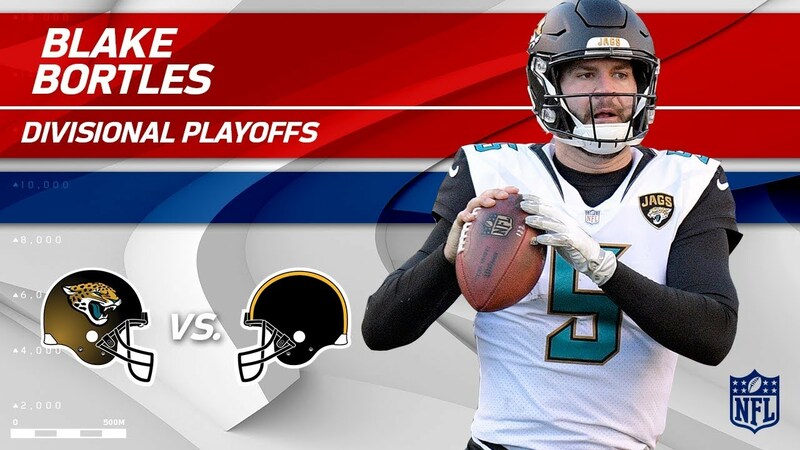 5-B.Bortles complete to 40-T.Bohanon. 40-T.Bohanon runs 14 yards for a touchdown. 7-B.Roethlisberger complete to 84-A.Brown. 84-A.Brown runs 43 yards for a touchdown. 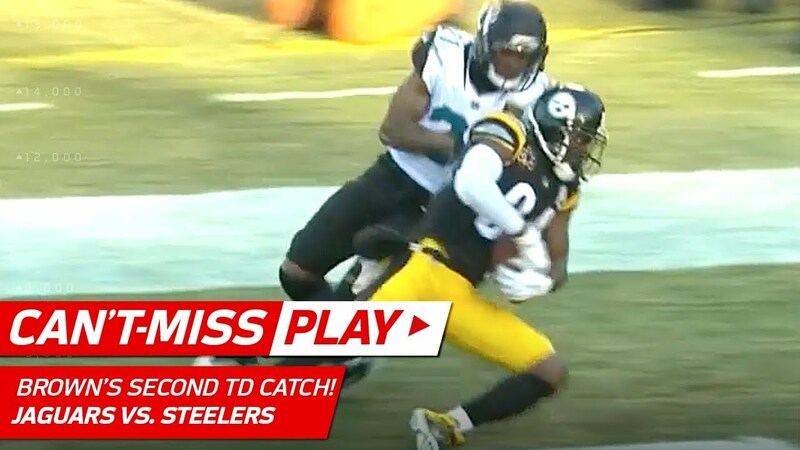 Penalty on JAC 21-A.Bouye, Pass interference, declined. 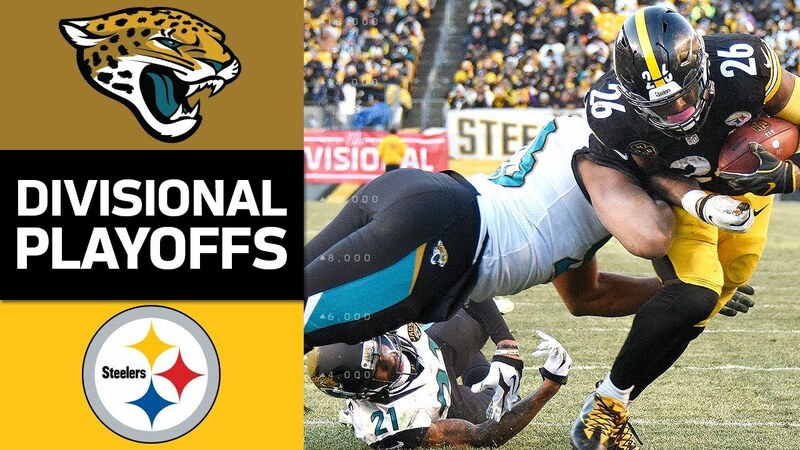 27-L.Fournette runs 3 yards for a touchdown. 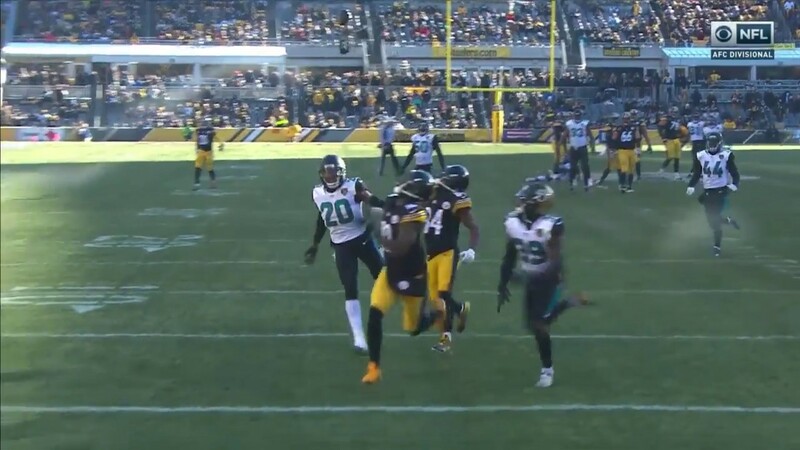 7-B.Roethlisberger complete to 26-L.Bell. 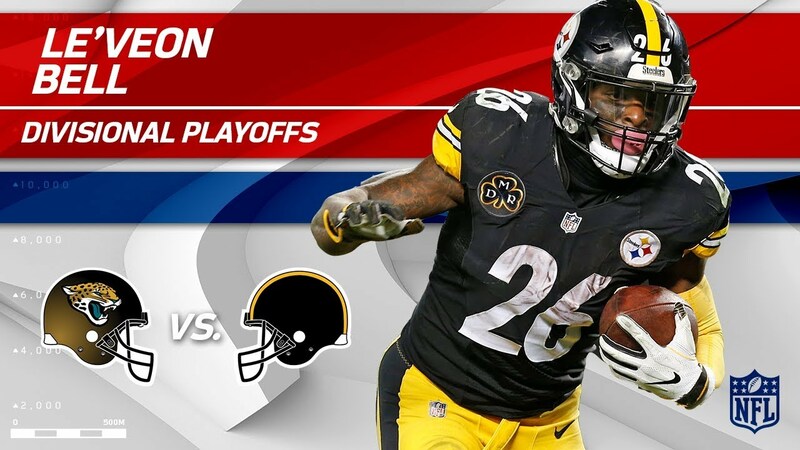 26-L.Bell runs 19 yards for a touchdown. 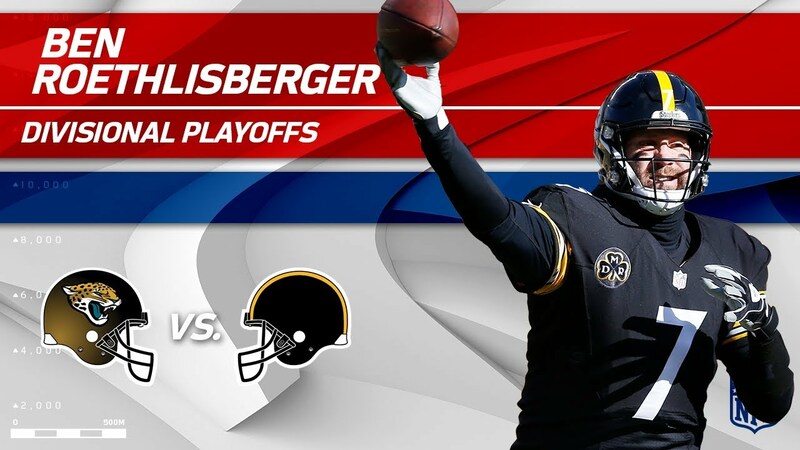 7-B.Roethlisberger complete to 10-M.Bryant. 10-M.Bryant runs 36 yards for a touchdown. 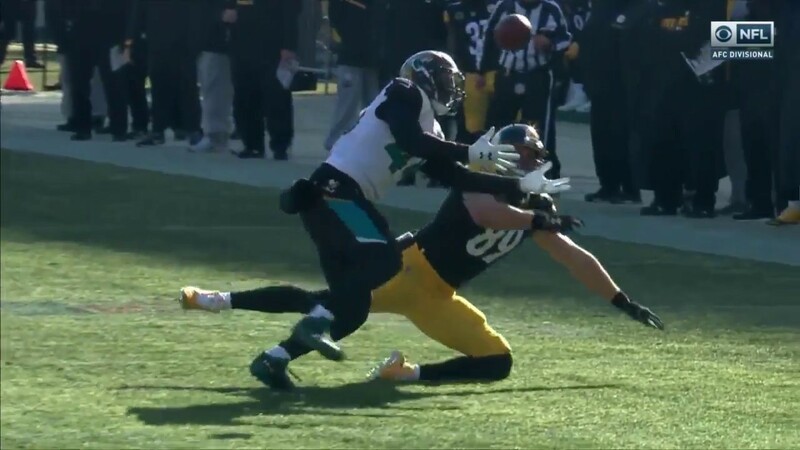 7-B.Roethlisberger sacked at JAC 48 for -1 yard, FUMBLES (91-Y.Ngakoue). 50-T.Smith runs 50 yards for a touchdown. 7-B.Roethlisberger complete to 84-A.Brown. 84-A.Brown runs 23 yards for a touchdown. 24-T.Yeldon runs 4 yards for a touchdown. 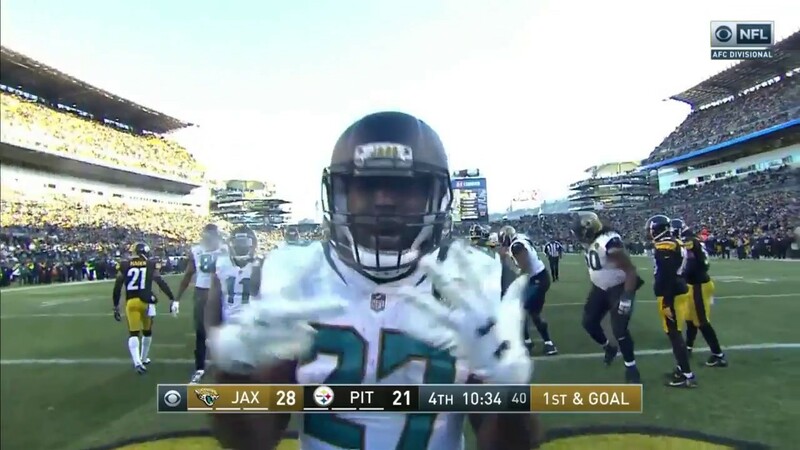 27-L.Fournette runs 18 yards for a touchdown. 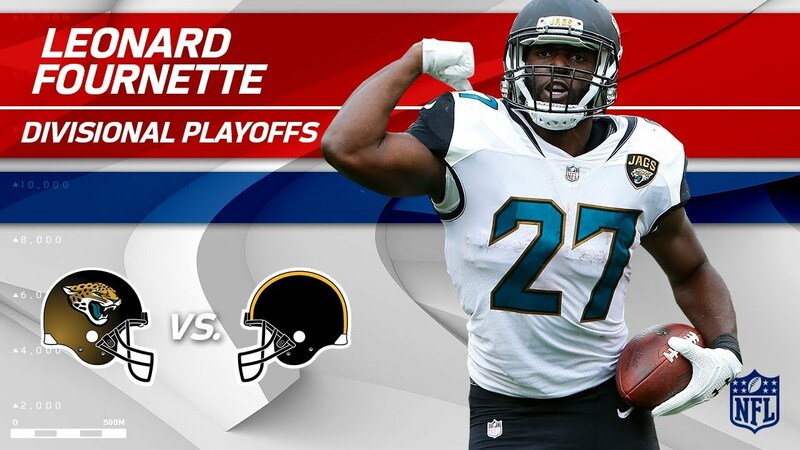 27-L.Fournette runs 1 yard for a touchdown. 9-C.Boswell kicks 54 yards from PIT 35. 30-C.Grant to JAC 34 for 23 yards (33-F.Toussaint,31-M.Hilton).